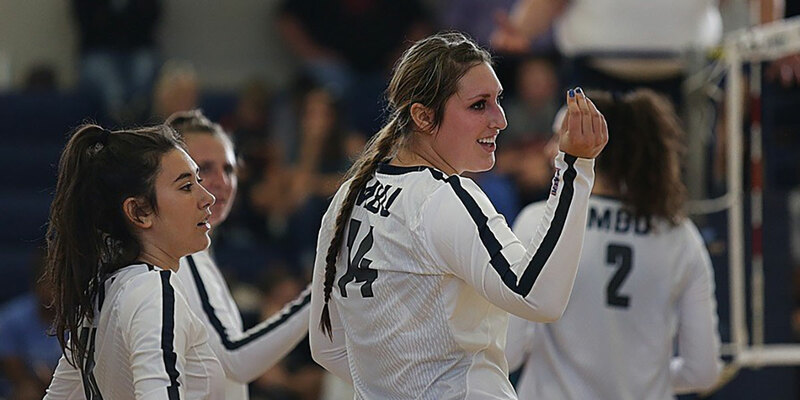 When it comes to anything happening in sports, history shows the Missouri Baptist University women’s volleyball team finishing with a losing record is not likely. In fact, since stats started being recorded in 2005, the Spartans, currently 15-2 overall and 4-0 in the American Midwest Conference, have won 417 games and lost just 130, a winning percentage of 76.23. That year also happens to be the first season for now-head coach Chris Nichols, who came on as an assistant when he first joined MBU in 2005. After taking over for former coach John Yehling in 2013, Nichols has led the Spartans to a 182-38 cumulative record and four straight NAIA National Tournament appearances spanning from 2014-17 with their 2015 appearance ending in a runner-up finish. The Spartans fell just short last year in the semi-final game even though they defeated Dordt College earlier in the tournament during pool play, who then went on to lose in the National Championship game to Lindsey Wilson College. Nichols said he believes all the success the team has had since 2005 is due to all the players who have donned the navy blue and white colors of MBU. Nichols places significant emphasis on recruiting as many talented players as possible. One of those recruits is freshman setter Nicole Bott. With 325 assists, Bott leads the team. Behind Bott is senior Aubrey Wilson with 189. Bott also won AMC Volleyball Setter of the Week honors back in late August. Originally born in Brazil, Bott came to the United States before her junior year of high school. After playing in a tournament in St. Louis, Bott was discovered and approached by Nichols. After a tryout for MBU, Bott was set to become a Spartan. Playing at such a high level as a freshman, Bott said she feels some pressure in being in the starting lineup. Despite being shy about starting Bott at first, Nichols has been happy with the freshman’s play this season. “It’s huge for our team,” Nichols said. “That was probably the biggest question mark coming into this season. We graduated a senior setter that was very good, and we knew we would have some turnover. Nichols was referring to Rachel Pool, who finished her collegiate career last season ranked No. 9 in total assists with 1,556. But Nichols added that Bott is playing beyond her years. During the four-year span the Spartans have qualified for nationals, Nichols said the team looks different each season. Once again in 2017, the Spartans dealt with more turnover. With a new batch of players on the team this season, one of them stands out from the bunch, senior attacker Mallory Moran. 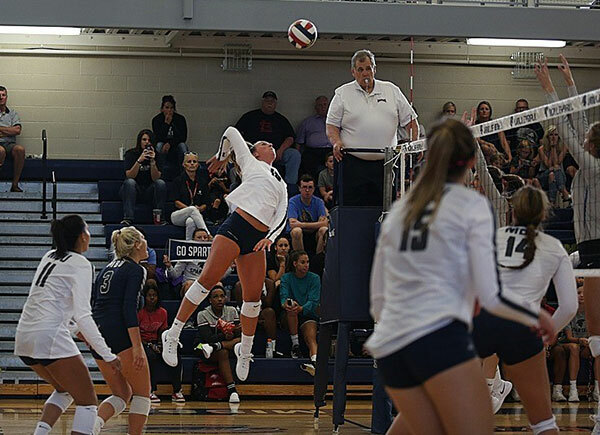 MBU Spartan teammates look on as senior attacker Mallory Moran leaps up to spike the ball against Trinity International University in the home opener earlier this season. Nicole Bott sets the ball as teammate Caterina Cigarini looks on during the Spartans’ home opener against Trinity International University earlier this season. A transfer from Texas A&M University-Corpus Christi, a Division I school, Moran has been an offensive juggernaut for the Spartans, leading the team with 196 kills, 505 total attempts and a kill-per-game ratio of 3.63. Moran also hails from St. Louis, making her transfer to MBU a bit of a homecoming. With MBU being as successful as it has over the years, it was enough to influence Moran to come back home to St. Louis. With friends already on the team, Moran said the chemistry has always been there and has been a major factor in the team’s success. 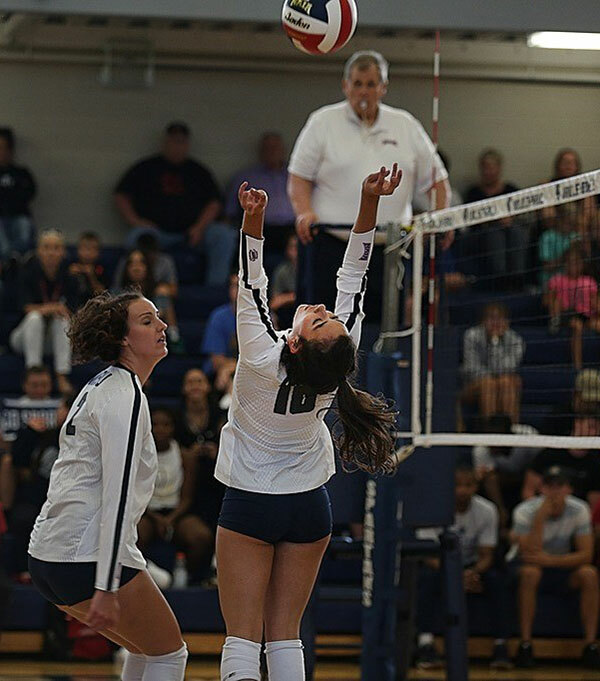 Staying involved in the local volleyball scene is important, according to Nichols, as he tries to build links with players such as Moran and senior outside hitter Maggie Sorensen before they choose where they want to play in college. The Spartans are currently ranked third in the AMC Conference and eighth in the Coaches Top 25 Poll. Ahead of them in the AMC is No. 2 Columbia College (16-1, 4-0) and No. 1 Park University (15-0, 3-0). Columbia is also ranked third in the nation while Park sits on top of the entire NAIA standings. With such a stacked conference, Nichols thinks it is important for his team to play against teams like Columbia and Park. With the AMC being so competitive, the process of recruiting players also becomes tougher. After coming so close to winning it all each season under Nichols, he has confidence it’s just a matter of time before they finally win it all. Nichols keeps things simple for his players without changing up what they’re doing. Senior setter Aubrey Wilson (right) and Bott (left) celebrate during the Spartans’ home opener. 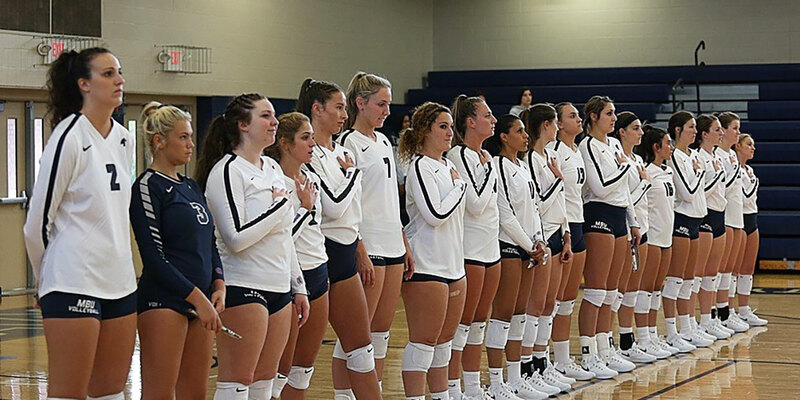 The Spartans are sitting at third place in the American Midwest Conference, which means they are among the best volleyball teams in the nation as the AMC is known as the strongest NAIA conference in America.